We just returned from a trip to Peru and Ecuador and this little gem came in VERY handy during the entire expedition! It was lightweight, took up minimal space and was the perfect backpack for sunscreen, bug spray, rain jacket, hat and binoculars. I may have to buy several more as Christmas gifts net year! It’s featherweight and extremely packable, yet strong and has a bigger capacity than you think. I use it a lot and give it an enthusiastic thumbs up! 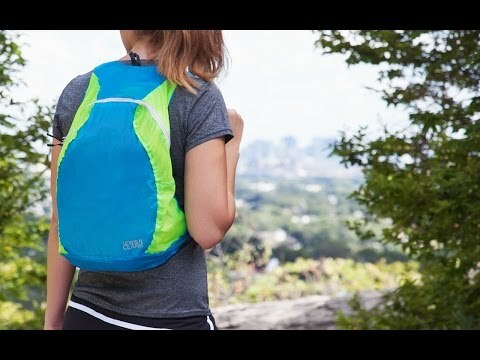 I will use this as a day pack for hiking or areas that are sparsely populated. Its light weight and a good size but I think in very crowed areas it would be easy to have some one to slice the material & steal out of the back pack. That said I do love it and will use it when I can do so safely. I use it to carry my older Apple Powerbook and was surprised how the tiny pack as-shipped opened easily into a pack small enough to fit the computer and a lot more. It's bright colors are great for being visible on my bike. 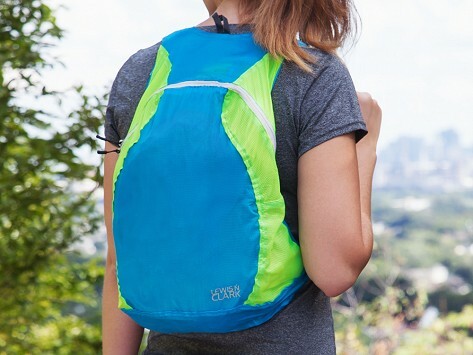 Although the pack is miraculously light and made from thin materials, the materials seem tough and the pack seems sturdy, even though I've only used it for a few weeks. I went back and ordered a couple more as gifts. Unique product and I like mine a lot. I originally bought three of these backpacks. I love and trust their durability, true assets in any equipment I buy. I trust them so completely, that when the bags containing a newly-single mom's Thanksgiving dinner ripped out, I gave two of the bags to her so she could get on the bus with her groceries. A couple of years later, I saw two younger children waiting for their school bus. I recognized their backpacks, and asked where they got them. The older one said their mom brought groceries home in them for Thanksgiving one year. Pretty versatile merchandise. Thank you for making them. I love this backpack. We took it all over Mesa Verde hiking. It held what we needed with no extra weight. I liked it so much I bought four more for Christmas presents. So light weight and holds a lot.